Calling all gardeners, citizen scientists, and picnickers! Enjoy city-grown food and participate in a group planting party. Picnickers will get two mystery seed packets–one to plant right away and one to experiment with later. 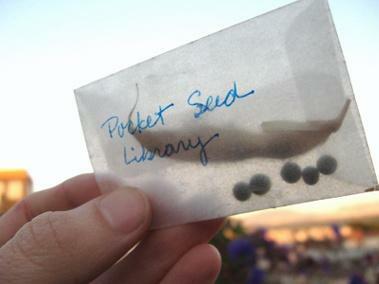 Information designers and picnic organizers Zoey Kroll and Erin Wilson will gather the results of these neighborhood garden experiments to create a cataloging system for The Pocket Seed Library. Seeds and salad provided. Bring a dish to share and RSVP.